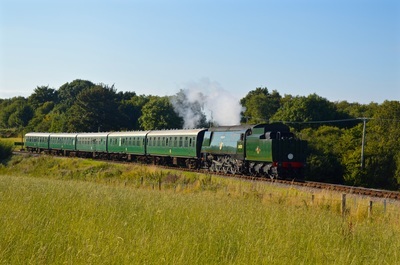 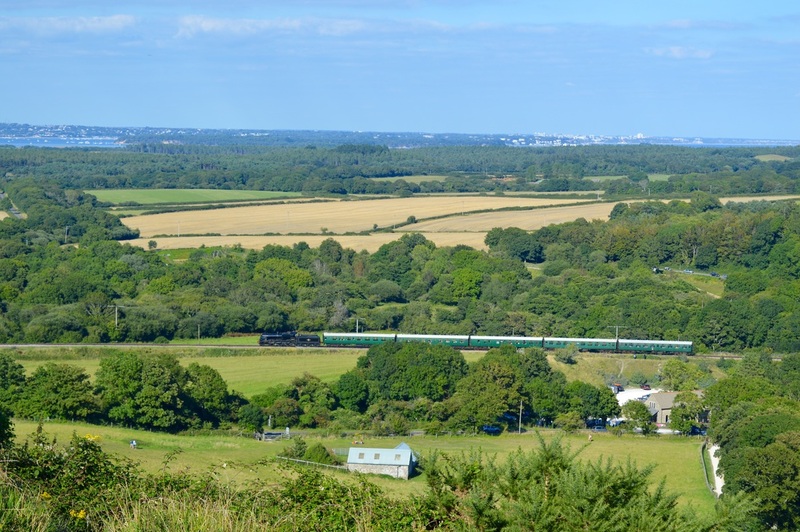 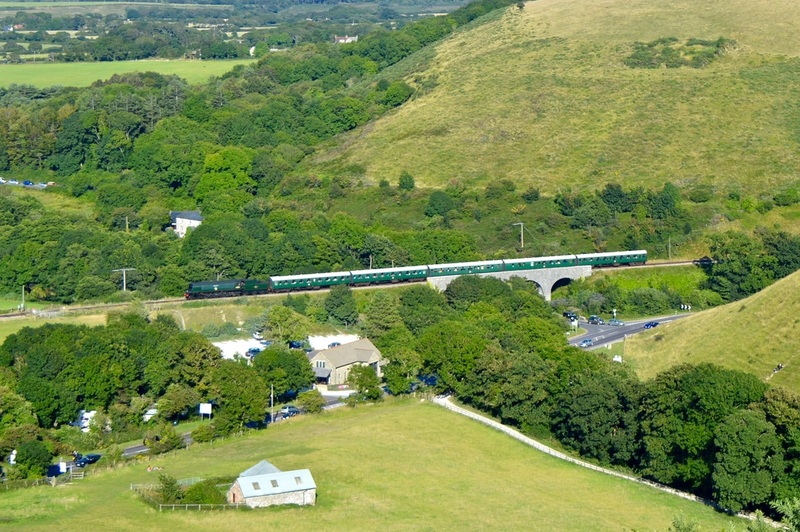 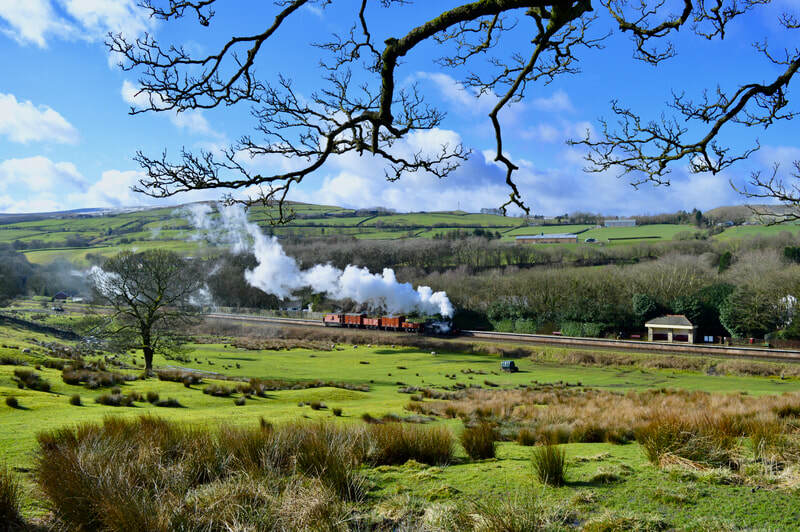 Operating through some beautiful scenery on the Isle of Purbeck, the railway serves as a park and ride for Swanage, from Norden. Norden lies near Corfe Castle, a ruined castle in the care of the National Trust. 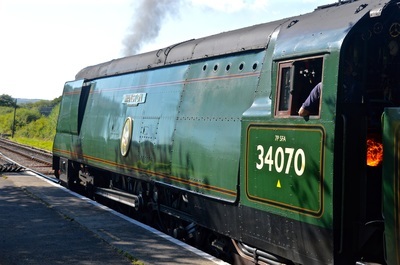 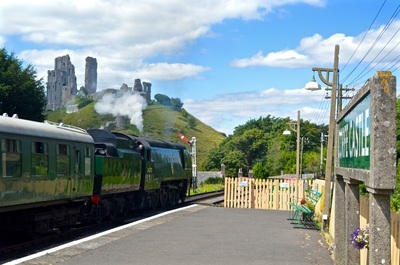 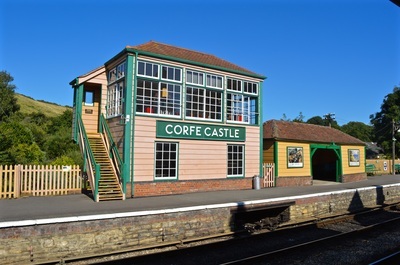 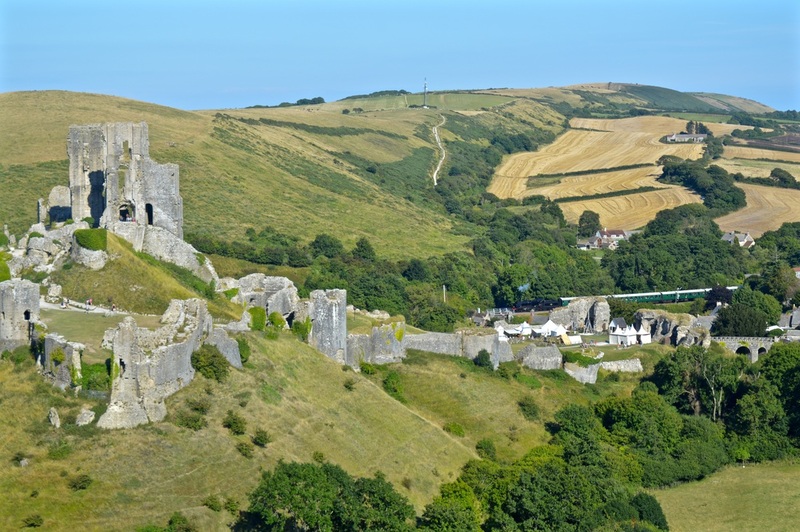 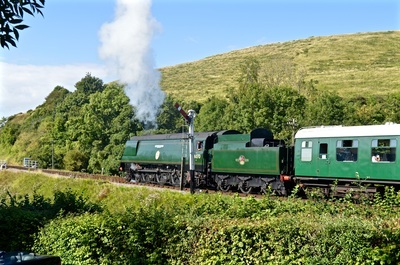 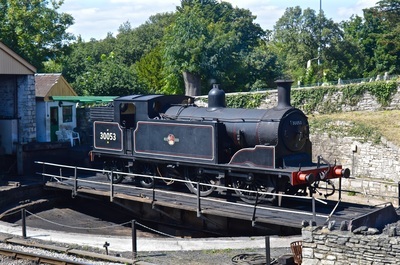 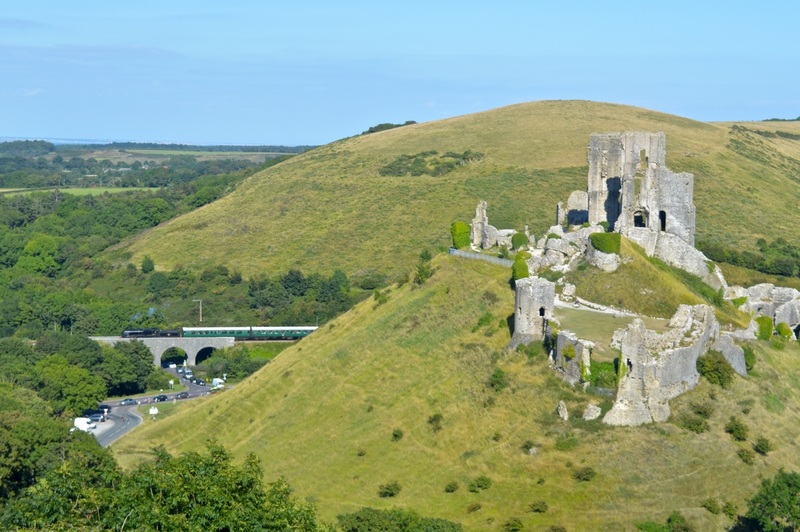 The castle can be accessed from Corfe Castle station or by a short walk from Norden. 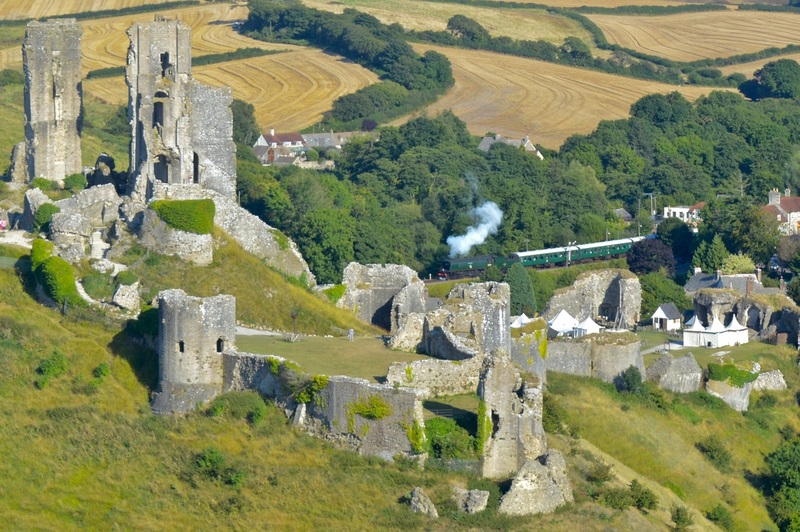 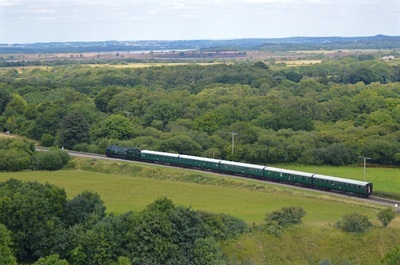 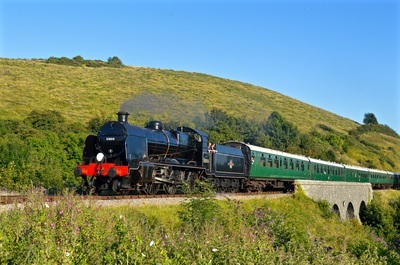 The hills surrounding the line between Corfe Castle and Norden offer stunning views of the line and surrounding area. 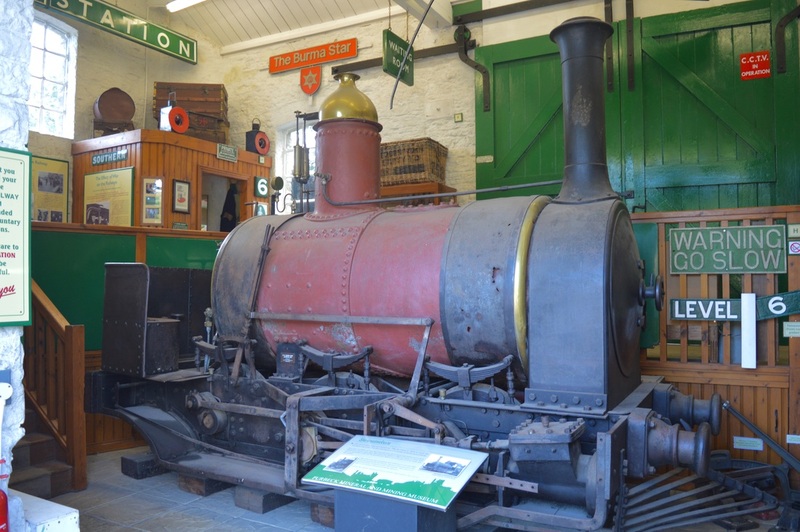 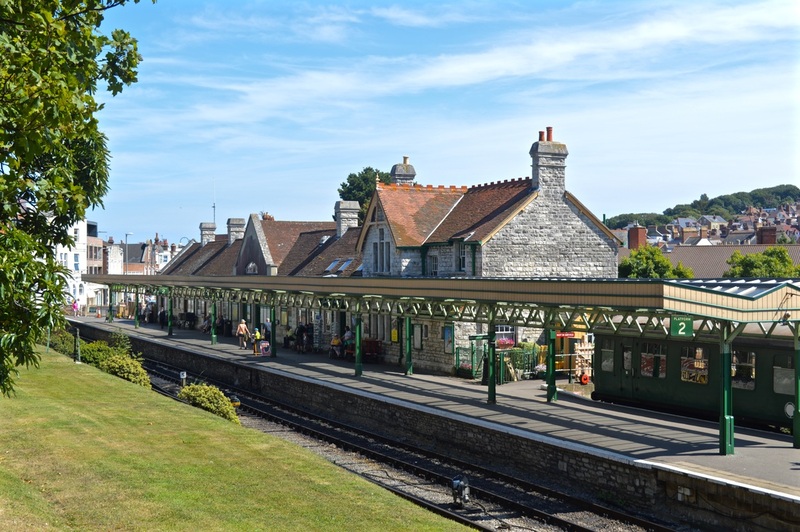 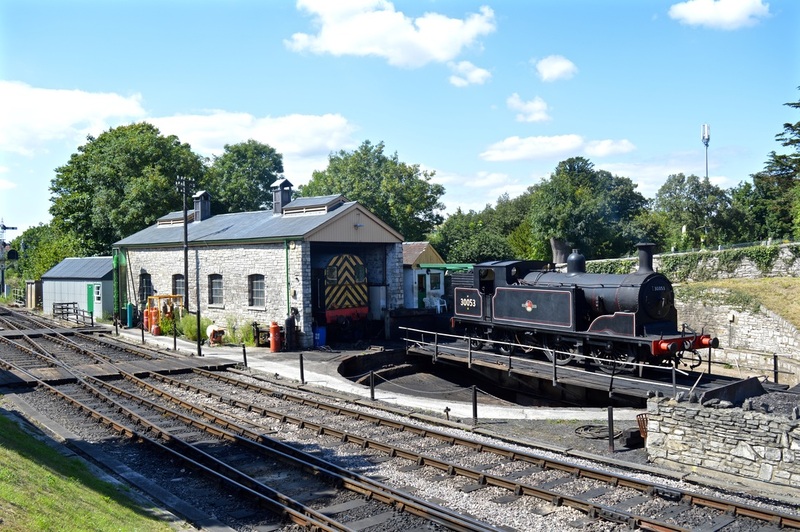 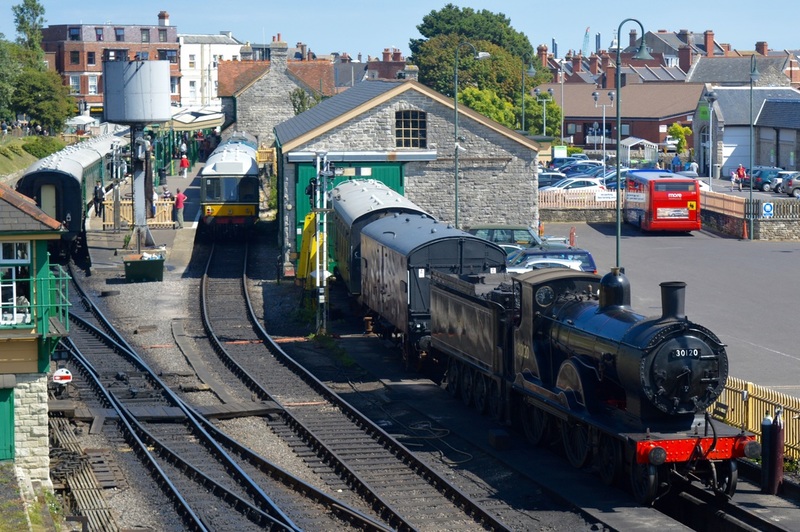 The stations are beautiful presented and restored, and at the Swanage terminus the original Engine Shed and turntable still stand in railway use; although at the moment the line does not have undercover accommodation for larger locomotives and carriages. 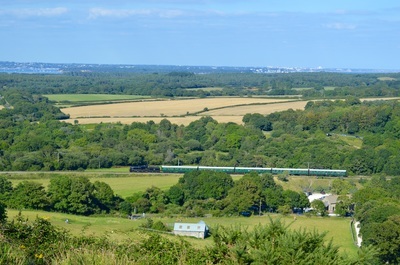 North from Norden, the line runs to Wareham were it links with the National Network. 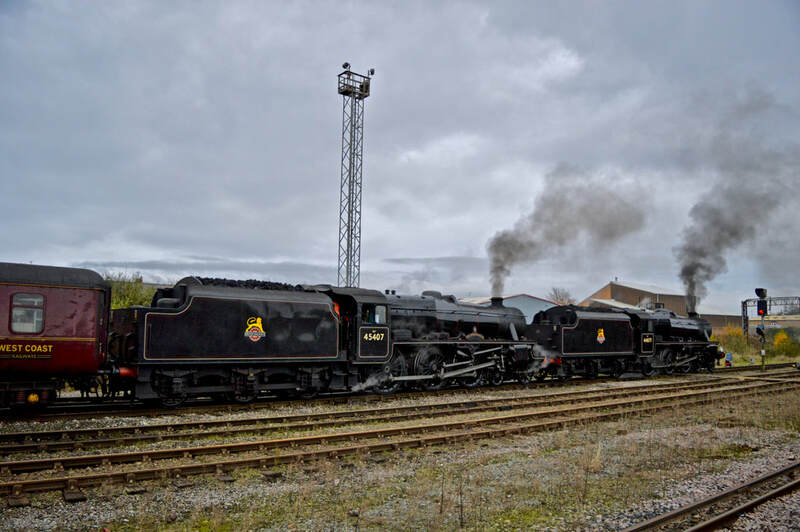 From 2017 the line intends to start running services on this section and into the main line Wareham station, initially using diesel multiple units, but with steam to follow in later years.